Because It's Awesome: interiors // strange or smart? 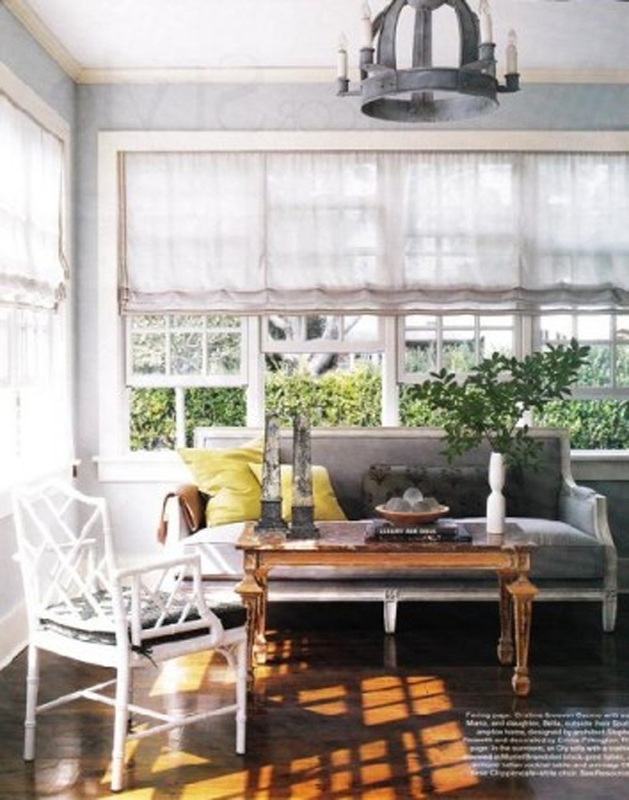 this sitting area is begging to be recreated in our would-be eat-in space. a friend of mine has a setup like this; instead of having two dining tables to choose from, they have a couple of loveseats right off the kitchen. perfect for entertaining visitors while dinners parties are prepped, lounging by one of the greatest natural light sources in the house, and (thinking waaaaay ahead here) ideal for the chitlins to entertain themselves nearby while mom (or likely dad at our house) makes dinner. what do you think? strange or smart? Not just smart - awesome! I LOVE this idea and it is literally a must-have in my next home. I think it's smart! Most the time the second eating area is only used on special occasions anyway, might as well get more use out of it. This is gorgeous! I have always loved this idea. In fact, I told my husband about it for a house he is doing. I hope his clients go for it! I love it. If our dining room wouldn't go so pitifully unused, I would have put the chesterfield in the dinette and called it a day. A room off the kitchen will ALWAYS get used. I love this.... especially if there is already an island with bar stools in the kitchen. Ironically, we just had two cozy swivel chairs delivered last week for an upcoming move and the only place i had to put them for "storage" was a corner in my kitchen. Let me tell you, they have transformed the space...... my kids practically never leave there now and adults immediately sit down for a chat. I love it! It's a space that will actually get used. Are you sending me special secret info or what? Your blog is AWESOME. Seriously. (Forgive the non-intentional pun.) Loved featuring it a couple weeks ago!! Keep up the awesome work! I think it's incredibly smart. As long as the fabrics are fairly stain resistant. I know that most people eat on the couch, so it would only make sense for a mini couch to migrate that way. Dude, I hope it's smart, since I'm doing that in my current eat-in kitchen. I'm thinking earthy boho lounge/ reading nook/ wine consumption area pre and post meal. At my last house, I had both a small dining area AND a loveseat in the kitchen. No one ate on it really since the table and breakfast bar were both right there, but when a friend came over while I was in the kitchen, it was perfect. It was SO used and loved that the upholstery needed replacing after only 3 years, but it was worth it. I say go for it, and choose fabrics wisely, or laminate them. I'm doing something similar. Using my eat-in kitchen for a homework/craft centre. We will end up with only one table that will be used 24/7 by us and guests. I think it is a very smart idea and wish I had room for a loveseat/bench too. Def smart. Anyway to turn your spaces more utilizable is the best. Especially if you have a formal dining room already (like myself) that never gets used. I love it! We have a keeping room or sometimes called a hearth room connected to our kitchen and eating area. This space gets used ALL the time! When friends are over, that's where we sit! It's my hubbys favorite spot! Good luck and can't wait to see what you do! I have always loved the idea of comfortable seating, like a couch, in a kitchen. I know I'm going to sound a little crazy but I always think of that reality tv show from 100 years ago with Ozzy Osbourne's family- they ALWAYS hung out on that sofa in their kitchen and it always looked so comfortable!